Banana toast is a wonderful soft finger food for babies and toddlers and helps to keep breakfast interesting with different tastes and textures. Tips: some people find this recipe works perfectly, while others say it is too mushy. Remember this is a finger food for babies so it is meant to be very soft. We have a few tips below from people who have used this recipe time and time again – I hope this helps. - Try mashing the banana with a fork on a board first, then put it in a bowl and add the milk, mixing and mashing as you go until the mixture is smooth. Or even blend it. Make sure the pan is hot when you start to cook. And don’t soak the bread for too long. - This is meant to be on the soggier side (like french toast) but not so much that it disintegrates. I suggest just dipping in the mixture rather than soaking and using a non-stick pan. Thicker cut bread is better too as really soft thin bread will tend to fall apart. Nutrition Note: An egg free version of French toast, with the delicious sweetness of banana. STARTING SOLIDS: Do you know anyone who is about to start their baby on solids? 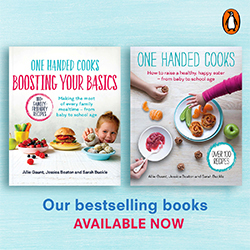 Or perhaps you’re after some new puree and finger food ideas for your own baby? 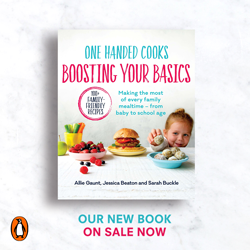 Our e-Book Baby Foodie is full of recipe’s, nutrition advice and forming positive food associations right from the first mouthful to help you and your baby through any fussy eating phases in the future. And our bestselling book How to raise a healthy happy eater from baby to school age. Sounds like a really good idea for babies:) Thanks! will try it today. I just made this for my 8 month old but used coconut milk instead of breastmilk.. omg- amazing!! Ive made a serve for myself too! My sister and I both made this for our bubs but the bread went sift and soggy. What can we do to keep it more firm for finger food suitability? It still tasted delicious! Try lightly toasting the bread before dipping it in the milk mixture. I do this when I make French toast and it works great. My mom always left bread out the night before so it would be dried out the next morning for French toast. I prefer toasting it and letting it cool while I make the milk and egg mixture for French toast. When cooking for more people I lay the bread in the oven to dry it out, instead of using the toaster. Very tasty and easy to make. My little boy refuses to eat pure. He likes to feed himself . 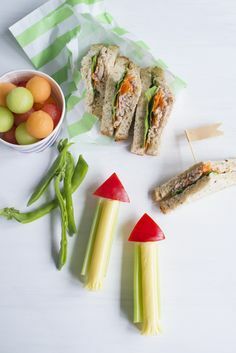 This recipe is great for babies who prefer finger food. Made this with almond milk and it was terrible, threw the whole batch away. It was so soggy and sticky that there was no way I was gonna eat it much less my toddler . Terrible recipe! Just went to mush. Waste of my expressed milk. You all need to remember this is a recipe intended for toddlers new to solids. It’s intended to be a little mushy. I did add in some egg replacer powder to give a little bit of a gelled effect for it to stick better on the bread. You could use geletin or an egg instead. I also used a heavier whole wheat bread. It worked fantastically. I topped with Sunbutter and honey. My kids loved it. And they are 2 and 5. I made something familiar when they were new to eating solid food. They loved it then. Just remember to cook long enough and DO NOT add in extra liquid. It’s supposed to be a thick mixture. Enjoy! I’ve made my own version with leftover jars of babyfood. I used half of the 4.25 oz jar of Beechnut’s just pineapple, pear and avacado OR guava, pear and strawberry mixed with just a splash of goats milk. Don’t drench it in the stuff! Then fried in coconut oil on medium heat for maybe 5 mins a side. It may still me a bit mushy in the middle, but as long as the egg is cooked, it’s fine. I was very disappointed in this. The bread was soggy & stuck to the pan. When I turned the heat down it just burned anyway! My son wasn’t too happy with it either! - Try mashing the banana with a fork on a board first, then put it in a bowl and add the milk, mixing and mashing as you go until the mixture is smooth. Or even blend it. Make sure the pan is very hot when you start to cook. And don’t soak the bread for too long. - This is meant to be on the soggier side (like french toast) but not so much that it disintegrates. We suggest just dipping in the mixture rather than soaking and using a non-stick pan. Thicker cut bread is better too as really soft thin bread will tend to fall apart. Wow!! This is great! I made it for my 2 and half year old, he’s allergic to egg and cows milk. I used coconut milk. My whole family loved it! Except my toddler, but he didn’t even really try it. He was sick and in bad mood. The key really is to dip quickly on each side! Has anyone tried this recipe with gluten free bread? Would it still work? Fantastic recipe – and thanks for the tips, will use thicker bread next time! Doesn’t work great with gluten free bread! But my 10 month old still loved it and that’s all that really matters. I think this is a great little recipe for something different for breakfast. I added an egg because we are all ok with eggs in this house. I used 2 pieces of light rye bread. It was a great consistency. I’ve popped it in the fridge to take on a zoo picnic. Thank you! Love it! this is fab, initially it went over soft while frying but I stuck it under the grill for a few minutes and the fingers firmed up nicely and my 7 month old loved it. I found like drizzling the mixture onto the bread , just enough to slightly wet it works better. I used butter to coat the skillet first to prevent sticking. My 1 year old loves it! This was delicious for baby and me! I used nice thick bread and I also added egg which seemed to help it fry up nicely. Thank u!! My 10.5 month old loves this! He loved squishing the pieces of toast in his hands, kept him occupied for a while! Will definitely make again, thank you! 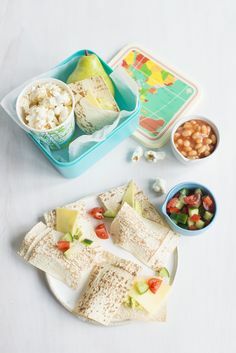 Great and easy recipe, 8.5 month old loved it, even fussy 2 year old ate a piece. I added an egg to the mixture, quick dip and fry in a hot non stick pan. Delicious. This went down very well with my 9 month old, thank you! I made them with plain white bread, cows milk and banana. Treated it as if I were making French toast and it worked perfectly. Worked a treat. Bit sticky to the pan. I did just ‘dip’ the bread. But my 9 month old loved it (baby led weaning). Think next time ill make more and put it the fridge for a afternoon snack too. Hello – this was absolutely delicious!!! However is this the type of food a baby can swallow without chewing? My baby is 9 months, and every bite he took of this banana French toast gave me anxiety because I was afraid he would choke. I made this for my son this morning. He absolutely loved it! Demolished the slice of bread in a matter of two minutes. I used half a banana and about 30mls of milk with one slice of bread (light rye) cut into fingers. Texture was a little softer than french toast but stayed together in the pan. I did add a small amount of butter to the pan before frying. I will definitely make again. My 18 month old only has one tooth and is allergic to eggs, so when I found this recipe I was really excited. I’ve made it twice and he loved it. The only things I did differently was use butter so that it didn’t stick to the pan and lower the heat just a bit. They are not as firm as regular french toast, but I think that has something to do with the bread being cut into strips, no crust to hold it together. I used wheat bread and was careful not to over saturate it. It’s a hit in this house! This was a huge hit! I only mashed half a banana and added a splash or two of milk to make it a thick pumpkin soup consistency. A very quick dip of the bread to coat either side and into a non stick pan with some melted butter. I’ll be making it again. I just made these for my 9mo old and he loved them. I will definitely be making these again! i so love the idea, then i made it just this morning. i used egg instead of milk, it turned out just fine, maybe because i used non stick pan, it really matters if you want a perfect one. surely i’l be making this again. tnx a lot! I just cooked these for my 10month old. First batch stuck to my pan and came out really soggy and considering he has a few teeth already I thought best to try again or he’d end up with mushy everywhere. So second time round I toasted the bread and dipped long enough so they were coated, added a little oil to the pan and fried until banana looked . I think I may use some egg next time and make more like French toast. Great, tasty (for babies), and simple recipe! I can see how some people can have mushy results, but with the right bread and techniques, it turns out pretty good! My advice.. use a thicker bread like French toast or Texas toast (we have this in the U.S.), toast it or dry out the bread, toast or leave out overnight, blend the banana (make sure its’s ripe) and milk (I used rice milk), add and egg to the mix (I made it with and without an egg and both came out great), don’t drench the bread–guage it/use your best judgement when you’re getting it wet (it all depends on how dry/stale the bread is), make sure the pan is warm and greased– I started on a lower temp and increased gradually so it can cook longer to dry it out… It’s a simple recipe and actually tasty, but it takes a bit of finesse. By the way, I used gluten free bread, which is thicker and drier, and it still turned out pretty good! Love this recipe!!! My 10 month old couldn’t get enough, she loved it. I used a little butter to stop them from sticking! Such an awesome recipe. My kids just love it.